Even those of us who are most diligent about sun protection - hopefully you're always wearing and reapplying eco-friendly sunscreen - might find themselves sporting an uncomfortable sunburn. The following remedies will help to soothe and reduce the inflammation, pain, and itching often associated with sunburns. The best part is that all of these remedies can be made at home and, with the exception of the aloe plant, you'll likely have all of the ingredients already in your cupboard. These are all vegan friendly and they're certainly more eco-friendly than purchasing store bought creams, ointments, or gels that might have unsustainable packaging, or contain unnecessary additives or chemicals that may have been tested on animals or are not so good for the environment. Aloe plants are really pretty and easy to care for. As a bonus, they offer the benefit of being a natural skin soother and protectant for all types of burns: solar, thermal, and radiation. 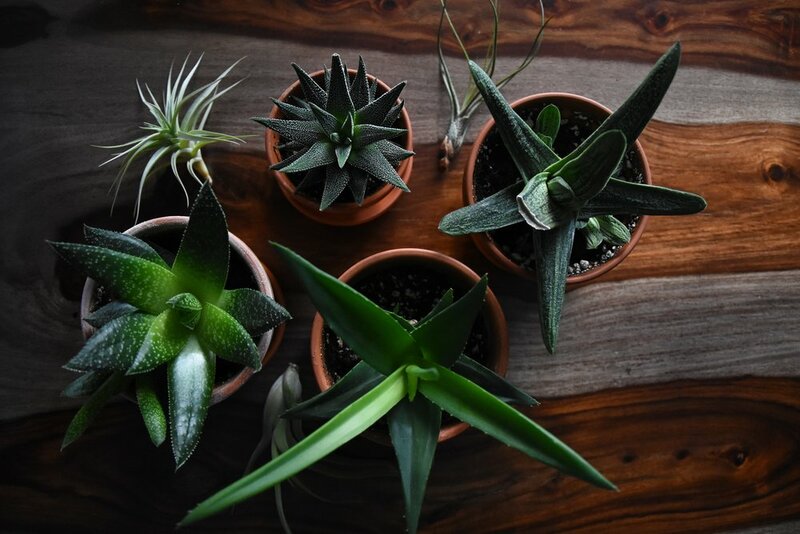 Rather than spending the money to buy some aloe gel at your local pharmacy, keep a plant at home. Please note that some people may be sensitive to aloe, so it's best to test an area of the skin first. For burn care simply choose a nice plump leaf, slice it open and place upon the area you wish to be treated. Or, you can squeeze the gel-like substance from the leaf and gently smooth it over your skin. There's a reason that imagining a spa day by the pool might include cucumber water or the application of freshly sliced cucumber placed over each eye: cucumbers are cooling and anti-inflammatory. To soothe a minor sunburn blend chilled cucumber into a paste and add some aloe gel or juice to get the benefits of both! Tea compresses are an old remedy used for sunburn. There is increasing evidence that shows both green and black teas have a variety of properties that lend themselves to soothing and repairing skin damaged by the sun. It is believed that the tannic acids and theobromide found in both black and green teas help to remove the heat from sunburns. It has long been held that polyphenols in tea provide benefits when ingested, but newer research shows the topical application to be beneficial as well. For example, when applied topically, research has shown that green tea will provide a photoprotective effect, reduce the number of sunburn cells, and can even reduce the DNA damage formed from the sunburn. 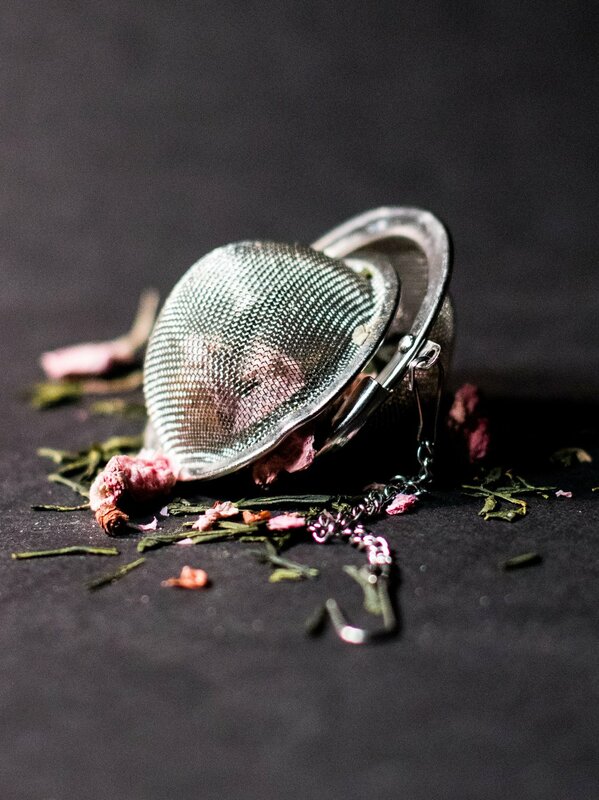 To treat skin: Simply brew several bags of green or black tea in boiling water. Add some mint for an additional cooling effect. Cool the tea and then apply to the skin as a compress using a washcloth. Add two cups of wood-aged apple cider vinegar to a bath and soak for at least 15 minutes. ACV will also help dry out and prevent infections if sun blisters are present. Oatmeal has been shown to have anti-inflammatory affects on the skin, which is why it has long been used to treat minor skin irritations, including sunburn. (In fact, side note, I recall my mother drawing an oatmeal bath for me as a child when I had chickenpox!). Simply ground raw oatmeal in a blender or with a mortar and pestle and add two cups to bath water. Add a few drops of essential oils like tea tree, which has analgesic properties that will help heal the skin, or lavender, which has a very relaxing and therapeutic scent in addition to being anti-inflammatory. Because baking soda is alkaline, it is believed to relieve and soothe sunburns by helping to restore the skins PH. Baking soda also has antiseptic properties which can relieve itching often associated with sunburns. Add 1/4 cup baking soda to a bath and soak for at least 15 minutes. As a reminder, prevention is key! Do your best to wear a hat whenever possible and make sure to incorporate some sort of sunscreen into your daily skincare regiment. Apply it first thing in the morning. If you are going to spend prolonged periods in the sun, you should be reapplying your sunscreen, per the instructions, at regular intervals.